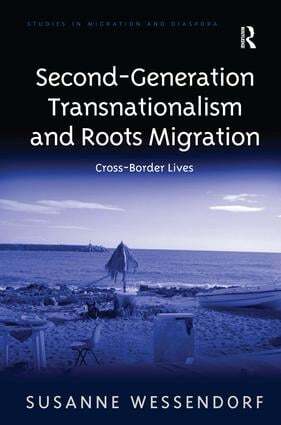 Second-Generation Transnationalism and Roots Migration represents the first comprehensive study of second-generation transnationalism, exploring the manner in which the children of migrants grow up amid travel back and forth between the country of origin and the country of immigration, while at the same time forming social attachments locally with people of other origins. Presenting rich empirical data gathered among second-generation Italians in Switzerland and southern Italy, and drawing on studies undertaken in other parts of Europe and in North America and Australia, this book investigates why as adults, members of the second generation maintain diverging transnational relations, with some sharing their parents' transnational ties and fostering social relations with co-ethnics, whilst others distance themselves from co-ethnics and rarely visit their country of origin. Yet others decide to relocate to their country of origin, a phenomenon the book conceptualizes as 'roots migration'. A rigorous exploration of the complex interplay of political, cultural and socio-economic factors in shaping the intergenerational reproduction of transnational ties, Second-Generation Transnationalism and Roots Migration will appeal to sociologists, anthropologists and geographers, with interests in migration and ethnicity, and the interrelationship of transnationalism and integration in immigration societies. Susanne Wessendorf is Postdoctoral Research Fellow at the Max Planck Institute for the Study of Religious and Ethnic Diversity, Germany, and co-editor of The Multiculturalism Backlash: European Discourses, Policies and Practices.